While chocolate is a treat many humans would die for, dogs can actually die if they injest it.The roasted seeds chocolate is made of contain ingredients that are deadly to dogs. Theobromine and caffiene are the two ingredients that are responsible for this. There are symptoms dogs owners should look out for if their dog inadvertently eats chocolate. The symptoms include diarrhea and vomiting, a high body temperature, more reflex responses, quick breathing, rigid muscles, lower than normal blood pressure and even seizures. 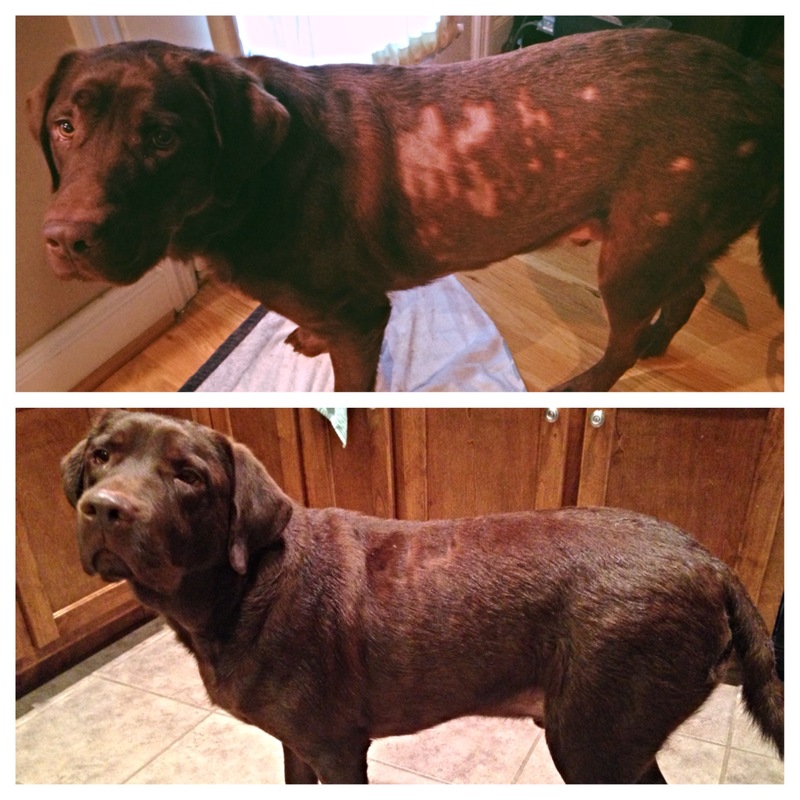 Different types of chocolate have different effects on a dog. A mere 0.7 ounces of milk chocolate per pound in a dog’s body is enough to be mildly toxic to them. If they injest two ounces of chocolate for every pound they weigh it will be sevrely toxic to them. For example, if a 20 pound dog ingests even one pound of milk chocolate they can become very sick as a result. Semi-sweet chocolate is more dangerous for dogs than milk chocolate is. With 0.3 ounces of chocolate consumed for every pound they weigh, the amount is mildly toxic to them. If a dog consumes an ounce of semi-sweet chocolate for every pound they weigh this amount is severly toxic to them. Baking chocolate is the most dangerous type of chocolate for a dog to consume. If a 20 pound dog eats even two squares of baking chocolate weighing one ounce each it can have deadly effects on them. Anything that contains chocolate is harmful to dogs. If they ingest enough of it, chocolate can kill any dog, regardless of their size. Any dog that ingests chocolate should be examined by a vet immediately. If the theobromine is removed from a dog’s body quickly enough they are likely to survive. Though some fancy dog treats use as small amount of chocolate in them many dog treats are made with carob, which is simply a substitute for chocolate that is safe for dogs to injest. Applied to a dog bone it looks like real chocolate but it is not deadly to man’s best friend. The very instant you brought your pooch home, he became family. You fell in love with his cuteness, his energy and his selfless love, so you reward him often with treats and squeeze in playtime everyday. However, as beneficial as daily roughhousing can be for you and your pet, sometimes it can actually be dangerous. Yes dangerous. You know the times when your dog sneezes in your face or when he breaks your skin with his paw? Or, how about the times when he nips you with his dagger-like teeth or how about the days when he insists on cleaning himself on your lap? Although your battle-wounds are always accidental and minimal, your dog can actually transmit diseases into your bloodstream that can generate mild to severe symptoms. Ringworm: Although its name suggest otherwise, ringworms aren’t actual worms, in fact it is a common fungal infection. Animals and humans that are infected are typically treated with both internal and external anti-fungals. 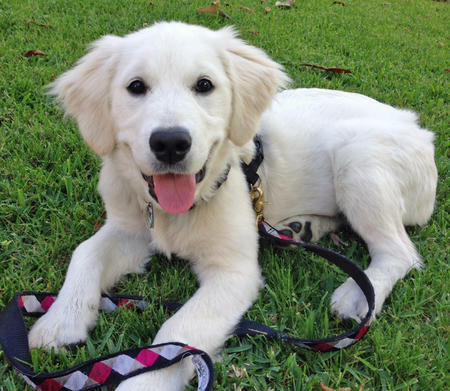 Hookworm: Hookworms can be life threatening for dogs and medically devastating for humans. They are parasitic entities that attach themselves to the intestines of its host, feeding off of its nutrients. This infection is treated with anti-parasitics. Tapeworm: Dogs and humans can contract tapeworms by ingesting a diseased flea. Tapeworms also attach themselves to the host intestines. Anti-worm is usually the prescribed treatment. Brucellosis: Brucellosis is another zoonotic disease that can cause major medical damage for both the infected animal and the human. Treatment usually includes antibiotics. Strep Throat: Strep throat is passed on by the exchange of bodily fluids (mouth kisses and sharing of food). Untreated step throat infections can weaken the immune system of the dog and human infected. 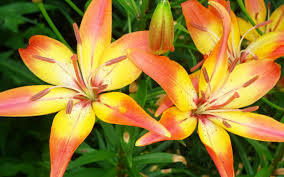 Did you know that your lovely cat is vulnerable to lilies poison? You need to be keen with those flowers and plants that can pose a threat. A good example is the Easter lilies that will bring the life of the cat to an untimely end. Others in this category are Tiger, Show, Japanese, Asiatic and Day lily. Watch out for this. A single pollen grain of this plant is enough to result in kidney failure, eventually causing death. Unfortunately, the particular toxin in the lilies hasn’t been identified. The good news is that it is water soluble. Hold on firmly to this tip as it might just be the savior in case of poisoning. If you swing into action immediately it happens, you might just be able to rescue your cat. Approximately, the poison will be at its worst in three days. The nearest time that you can spot signs of poisoning is in the range of six to twelve hours after ingestion. The cat will start vomiting and within no time, it will get dehydrated. It also loses appetite. There is also the inflammation of the pancreas and the cat might either develop extreme thirst or it avoids water completely. You also need to look out for lethargy as it is one of the key indicators. If the signs go unseen, things worsen and the next thing is the acute failing of the kidney. The antidote that can combat lily poisoning hasn’t been developed yet. The best thing you can do in this situation is to bring the matter to the attention of a veterinary doctor. Do this in the shortest time possible as the life of the cat largely depends on it. The specialist will use decontamination drugs to improve the condition. Finally, you just have to avoid lilies since they are generally not good friends for your cats. Even the other types like Calla, Peace and Peruvian can result in mild poisoning. No matter what your pet’s medical needs are, the last thing you want is the town quack administering essential medical treatments to him. Whether you’re looking for a veterinarian for the first time, or hoping to replace the vet that’s currently caring for your pet, these tips will help you find the right one. Look around to see if the facilities are clean and well-organized. Watch to see how the staff interacts with the pets and their parents. Find out who will be responsible for administering medical care to your pet when the primary vet is on vacation, or absent for any other reason. Don’t be afraid to get in the vet’s professional business. Where did he go to school? How long has he been licensed? What is his philosophy about pet care? When it comes to the safety and care of your pet, take no prisoners. Pay attention to communication skills. Is communication seamless? If the doctor isn’t listening or communicating with you during your first visit, he’s not going to start when you bring up concerns about your pet. Check for AAHA accreditation. 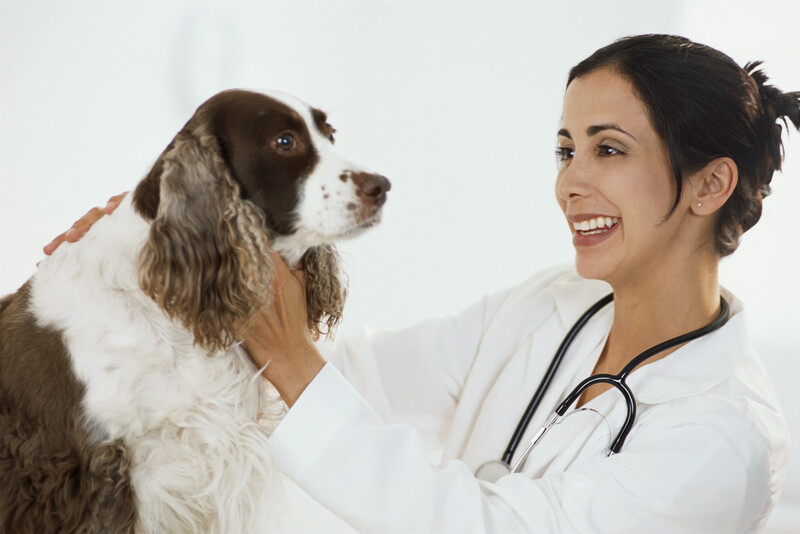 The American Animal Hospital Association is an organization that sets the standard of excellence in veterinarian services. Keep in mind though, not all quality vet practices are AAHA accredited. Opting for one with the AAHA seal of approval simply improves the likelihood that your animal will get a top-notch medical provider. Before you finalize your decision, consider the clinic’s operating hours and location. Of course, when it comes to getting the best care for your pet, distance and operating hours aren’t going to be the determining factors. However, if the hours are inconvenient and the facility is far away, it can impact your ability to get your animal to the vet if there is ever an emergency. It might occur as a surprise to you, but pets can be organ donors. If your dog has an organ that is seriously ailing and nothing can be done to keep it, there is another way out. Or, you can also offer to save the life of another dog by allowing your dog to donate that vital organ that is badly needed by the other dog. This is reality and there are many success stories of dogs that came close to death but managed to come back to life after undergoing an organ transplant. If a dog is to undergo a kidney transplant for instance, the normal human procedure is followed. The donor surgery, as well as the recipient surgery is performed after ascertaining that there is compatibility between the two. The recipient is usually a dog with two failing kidneys while the donor dog must have two properly functioning kidneys. This way, it will be able to survive with the one that it is left with after the donation. The organ transplant could also be geared towards saving the eyesight of your dog. A good example is a past case where a dog had a melanoma that had pitched tent on the white part of the eye a. After s surgery, the tumor was removed and a gap was left in that space. The problem reoccurred and this time round it affected the whole eye such that the dog couldn’t see. After locating a dog that was on the dying edge after a serious accident, the eye was taken and transplanted into the one that had lost one of its eyes. Believe it or not, the dog is living a healthy life without any complications. So there you have it. If you didn’t know, now you know it. Your dog does not have to suffer just because of a failing kidney or any other organ. Call for help and rescue the life of your pet. If you are the proud owner of multiple kitties, you might have noticed one or more of your feline friends refusing to use the community litter box. In many households, one dominant cat will take control of the litter box and refuse the others from obtaining access. Sometimes, however, the problem arises when there’s even a small amount of stress between kitties. Your best solution to this problem is to place multiple litter boxes throughout your home and, if a lack of spaying or neutering is contributing to the problem, consider a trip to the vet. Sometimes, no matter what you do, your cat will find issue with your litter box. First, take your kitty into the vet for a checkup — you’ll want to ensure that a medical issue is not responsible for your cat’s behavior. 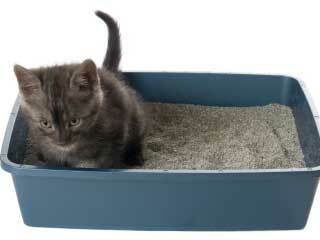 Once you’ve ruled out medical problems, try changing up the location of your litter box. Depending on your cat’s age, that spot in the basement might be out of reach. Some cats are also picky about types of kitty litter, so don’t be afraid to experiment with a variety of brands. Finally, be sure that you are actually cleaning the litter box on a frequent basis. Think about what would happen if the tables were turned? Would you really want to do you business in a stinky box that hadn’t been cleaned in ages? Any number of problems can cause your kitties to avoid the litter box. If you even suspect those issues may be of a medical nature, do not hesitate to visit the vet. Otherwise, take time to observe your cat’s habits and experiment with box placement. You might be surprised by the end result! Feeding your furry feline friend may be the highlight of your day as you bond with your pet. Certain human foods, however, could make your kitty very sick. Protect your cat when you avoid feeding him five human foods. It serves as a tasty treat for you, so naturally you want to share with your pet. Unfortunately, a toxin known as theobromine is found in chocolate, and it can cause irregular heartbeat, tremors or death for your cat. Enjoy chocolate whenever you want, but don’t let your kitty eat it. Rich in allium components, onions, garlic and chives taste good in your recipes. In raw, cooked or powder form, however, these foods can damage your cat’s red blood cells and produce anemia, weight loss and inhibited appetite. Since your kitty is twice as susceptible than dogs to damage from these foods, never give your cat access to onion, garlic or chives. Your weekly sushi is safe for you to eat, but it contains thiaminase that breaks down vitamin B. A deficiency of this vitamin could cause weight loss, decreased coat condition or convulsions for your kitty. Protect your feline and always cook fish thoroughly before serving it to your cat. Adult cats typically develop lactose intolerance. If you feed your kitty milk or cheese, he could develop diarrhea and other digestive problems. Enjoy as much milk and cheese as you can tolerate, but keep it away from your cat. Bite-sized grapes and raisins make fun toys for your playful cat. However, these two foods can lead to kidney failure and death. Never allow your feline to play with or eat grapes and raisins. Meal times keep your kitty happy and help you bond. Just don’t feed your feline five human foods as you keep your pet healthy. Your dog is more than just an animal that lives in your home — it’s a part of your family. Chances are your four-legged companion enjoys eating some of the same foods you do, perhaps even eating food straight from your kitchen table. But not all foods are permissible for a dog. In fact, your canine’s dietary restrictions include many common household foods that could prove toxic for your pet. Avocados contain Persin, which is potentially toxic to dogs. The good news is that avocados are only toxic to dogs in large quantities, so don’t be too anxious if you have been guilty of letting Fido lick the bottom of the guacamole bowl after your last party. Just don’t let it happen again. These tiny little fruits are notorious for falling out of the refrigerator or slipping out of the hands of toddlers and preschoolers. But if you have a dog in the house, you may want to keep a careful eye out for rogue grapes. All varieties of grapes, as well as their shriveled counterparts, raisins, are capable of causing kidney failure in dogs. This is one of the most dangerous foods for a dog, due to its caffeine content and the presence of theobromine. Each of these components work as stimulants that can cause the heart to race. Because theobromine is digested very slowly in the canine body, it can cause your pet to become very ill or even die. These nuts, as innocent as they seem, are highly toxic to dogs. Just one or two traditional macadamia nut cookies could be enough to make your dog very ill, potentially causing neurological debilitation and vomiting. When it comes to your pet’s diet, it is always better to be safe than sorry. If you are not positive that a food is safe for your pet to eat, don’t give it. And as always, ask your pet’s veterinarian before changing your pet’s diet or introducing a new food.